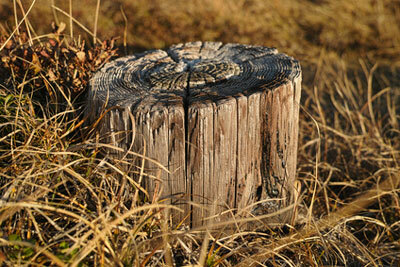 Golden Acres Tree Services provides a wide range of tree management services in Regina. Whether you need assistance with one or several trees, our arborists have the equipment and experience needed to get the job done correctly. If there are one or more trees in your way, Golden Acres Tree Service provides tree removal. This can be done for aesthetic purposes, to get rid of a diseased tree, or to clear land for building and simply using the property for outdoor activities. We provide residential and commercial tree removals of any species. Our skilled team knows how to fall a tree away from buildings and powerlines if needed. Our arborist team also provides tree trimming to shape trees or remove dead branches. We work with evergreens, maple trees, elm, and many other species. We cut trees down to a more suitable size if they become overgrown and can quickly trim several trees in one service. Our team cleans up completely, removing branches, fallen leaves, twigs, and debris to leave the area completely clear. 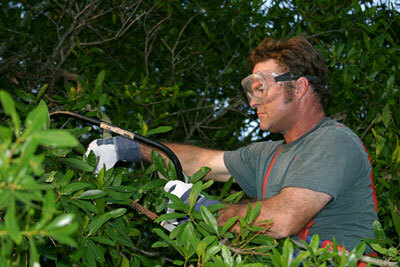 Our services also include chipping, which is a means of removing limbs and branches after they have been cut. We use portable tree chippers to condense the space that is needed to haul off your removed tree and the limbs. 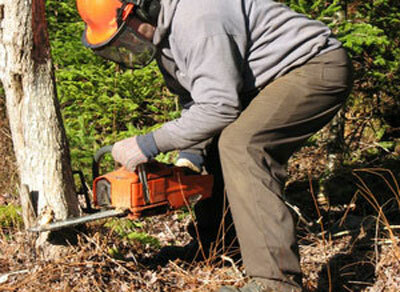 Most of the limbs that are four inches in diameter can fit into the portable tree chippers. The chipper is motorized and uses sharp blades to chop up tree limbs, blowing them back into an enclosed service truck. This quick, environmentally friendly haul away method allows the wood to be recycled for other purposes easily. If you have a stump in your yard that is getting in the way of your outdoor activities, Golden Acres Tree Services provides this service as well. We grind the stump down to the ground and pull out the roots. Stump removal clears the way for mowing the lawn, playing sports, and any other outdoor activities or work you need to do. 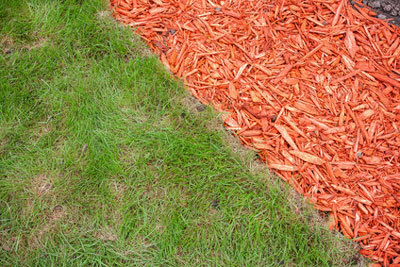 We also provide wood chip mulch, which serves a great fertilizer for gardens and trees. 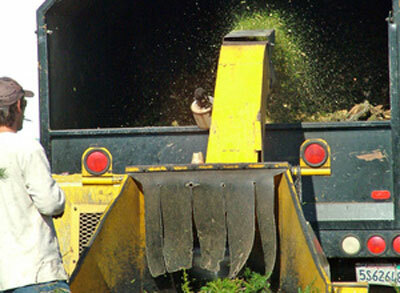 We use the wood we obtain through stump removal and tree trimming to grind into wood chip mulch. There are course and fine grain mulches available in natural or dyed colors. Mulch can be made from cypress and other hardwood trees, and there are mini-nuggets and shredded blends available. Use our wood chip mulch for anything from a playground base to flower garden completion.